Yvonne is a member of the Chartered Professional Accountants of Alberta. Prior to Horizon Group, she worked in Hong Kong where she gained a broad range of accounting experience. Yvonne graduated from the University of Calgary with a Bachelor of Commerce in Accounting. She became a member of the ACCA and HKICPA in 2004 and 2005. 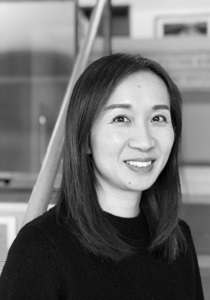 Yvonne worked at Thomson Reuters in Hong Kong for 8 years and also worked at Search Investment Group for 8 years. She returned to Calgary with her husband and 2 children in 2016. Yvonne enjoys traveling, biking and spending time with family and friends.